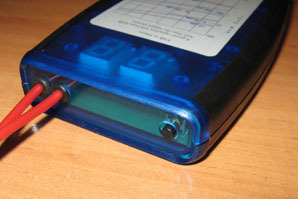 We have already looked at the Bob Parker ESR meter as made by EVB of Portugal. 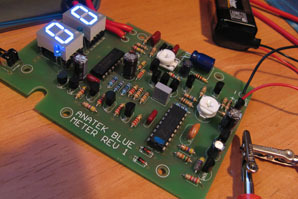 Now we will look at a new for 2008 kit from Anatek which is the Bob Parker Blue ESR Meter. The kit arrived in good order, well packaged in a carboard box which was in another box. The components of the kit are shown above, except that I installed some of the resistors before I thought to take a pic of the kit contents. Cases are very important for meters, they should be robust to ensure years of service and perhaps abuse. The case provided is quite interesting because the only items exiting the case are the button at the top edge and the test leads at that location also. The leds and the displays are actually viewed through the case. The button is protected as it is actually recessed. It does not exceed the outer edge of the case. The leads are also protected by grommets at the position they exit the case. It is a good design. 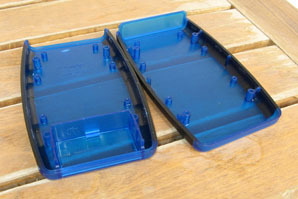 The case is made from a strong plastic and also has rubber hand grips on either side which are quite comfortable. 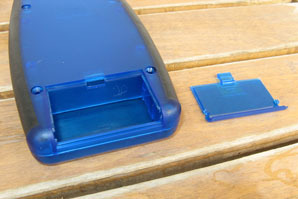 The two parts of the case are secured with four screws and the pcb is secured to the case with many screws. It was very nice to see the battery door which is very convenient. 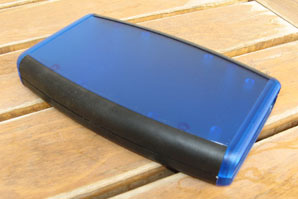 It means I can also easily follow my usual method of leaving the battery disconnected when I do not intend to use the unit for some time. The case was generally a high quality item which was actually made in USA not the usual China. I was generally quite impressed with this case. 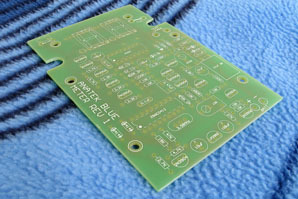 The PCB appeared to have been manufactured professionally. 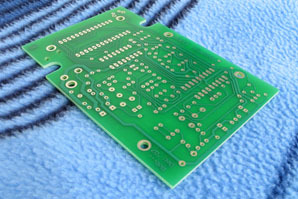 It is a single layer board. The top side was screen printed not in any cryptic way but with full component labelling in an easy to understand way that included polarity markings for components that had polarity. 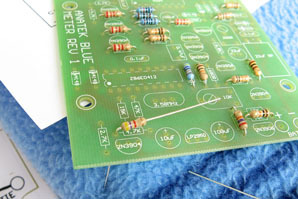 The components appeared to be high quality. I was pleased to see Nichicon and Panasonic capacitors instead of a cheap Taiwan brand. 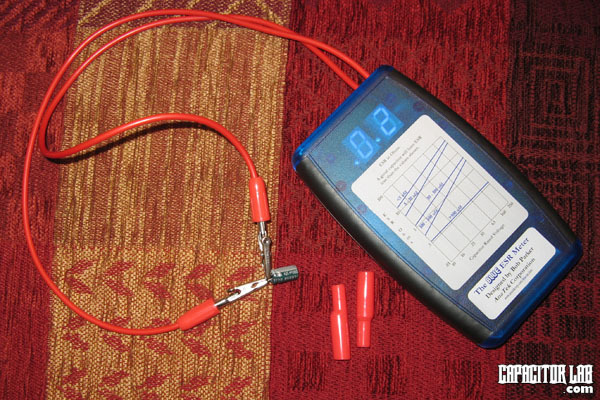 The kit provides two test resistors, one you use for calibrating the meter. 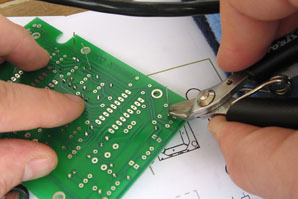 This simply involves putting the probes on the resistor and turning one trim pot. 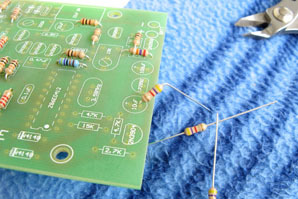 Then you confirm its indeed calibrated ok by using the other resistor and checking the value is correct. It was great to see this was such a simple procedure. With the nice case, the finished product looks like a quality meter. Not like I would expect something I built myself would look like. 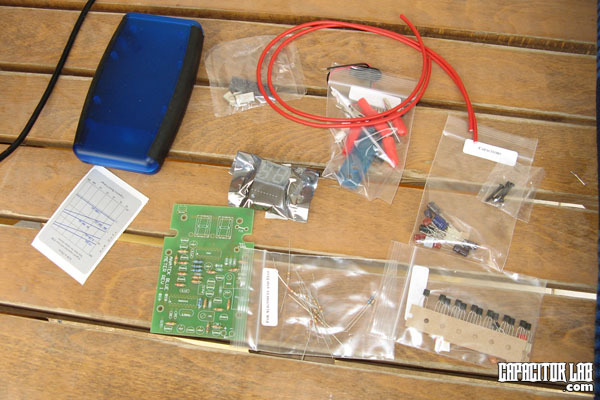 The kit is not difficult to build, even for a person that does not know much about electronics. The manual is good but could be better with some more pictures instead of text. The circuit required to provide voltage for the low battery warning and the meter circuit test functions required a few components which I believe should have been provided in the kit. 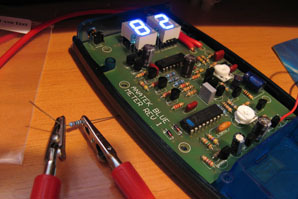 At time of writing this review, Anatek offer the meter kit at US$79 and the assembled meter at US$149. So there is a considerable saving in buying the kit. I would recommend that as it is quite satisfying to complete the build. When I was building the kit, I found out I had two ICs which were the same and not two different ones. 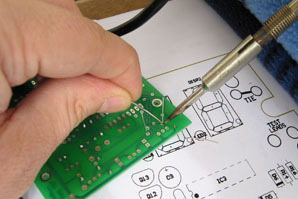 Anatek sent out the required part immediately with express post, so they appear to offer good service.